This is an image that was stacked from 30 - 180-second exposures acquired between 21:38 and 23:14 UT on January 12, 2008. Sky conditions were not bad, SQM sky background was mag 20.1 / sq. arcsec. 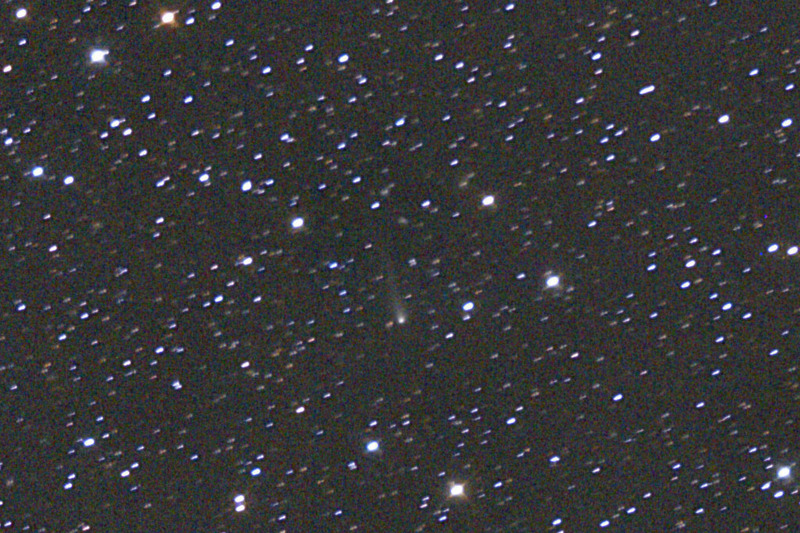 The smudge near the comet is a galaxy PGC 21868 which is listed ad magnitude 16.2 . This is a 100% pixel size crop from the ful image. 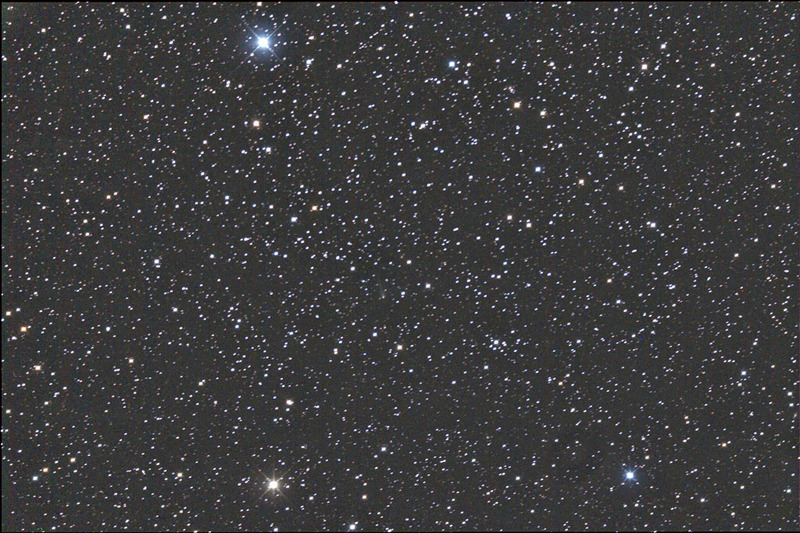 The image was made with an ASA N8 20cm f2.75 astrograph and a modified Canon 350D @ 1600 ISO. 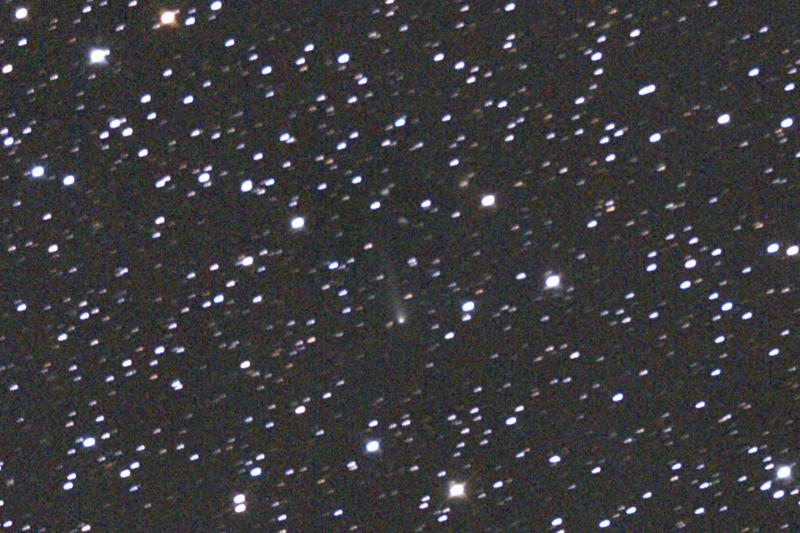 This is an image that was stacked from 12 - 300second exposures acquired between 0:33 and 1:36 UT on December 16, 2007. 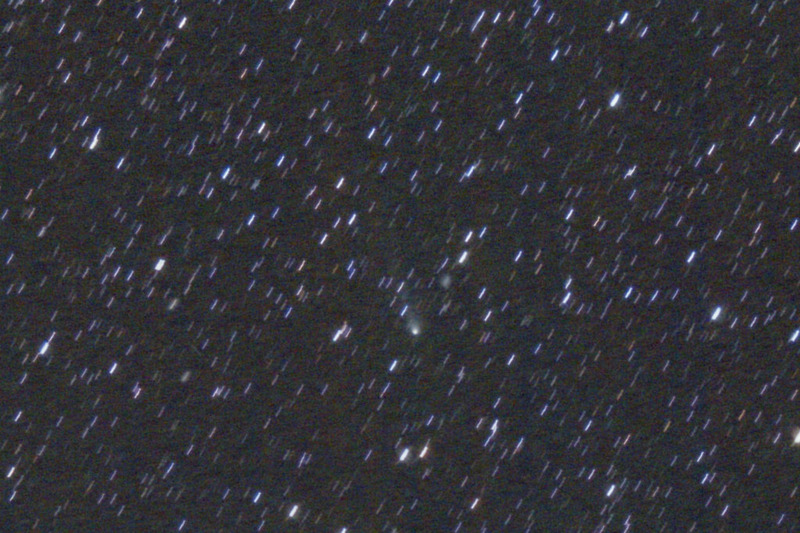 The comet is quite small but it has a nice little tail. Sky conditions were not bad, SQM sky background was mag 20.3 / sq. arcsec. Since the comet moved around 13 arcsec during the exposures, I had to register on the comet. Movement in each 5 minute exposure was about an arcsecond. The image was made with an ASA N8 20cm f2.75 astrograph and a modified Canon 350D @ 800 ISO. This is a 100% size crop from the above image. This is a 100% size crop with a minimum filter applied to shrink bloated stars.